BookShark believes that reading is the keystone of learning. For that reason, we have educational experts carefully curate our books which form the basis of our curriculum and serve as the basis for BookShark’s Proprietary Instructor’s Guides. Our curriculum programs in every grade are supported by highly researched and proven sets of readers. And we’re proud of them. 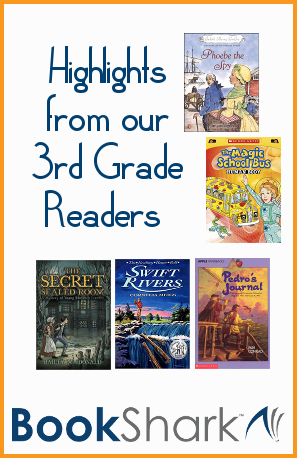 We wanted to take a moment and give you a feel for the highlights of the Third Grade readers. Change is not a favorite among children. One may argue that adults don’t often love change much either. As such, parents need to prepare to transition their children from public to homeschooling. Part of that preparation will be for the parent and part of it for the child. This will be a big change for both of you. However, it can be a very exciting one. 1. Be clear with yourself about why you’ve decided to homeschool. There are undoubtedly legitimate reasons you’ve decided to homeschool your child. You may feel uncomfortable with the public school curriculum, you may notice your child loosing their love of learning, and you may notice your child is falling behind in school, despite being very capable of academic success. 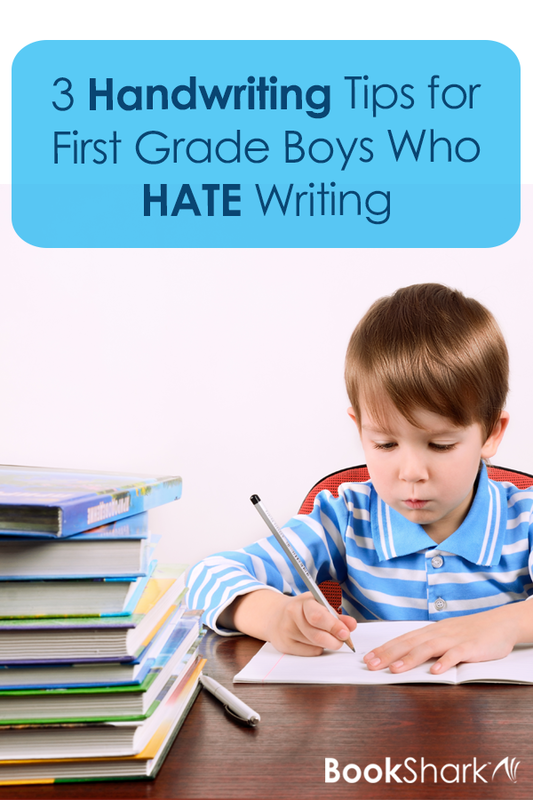 I made the mistake of taking away screen time because I felt like my first grade son’s hatred for writing was about attitude. Now in retrospect with one son who has graduated and two others in upper grades, I know writing is more about aptitude than attitude. I wish I could turn back time to erase my mistake of crushing the spirit of my energetic son. Although I can't fix my mistake, I can give you three handwriting tips that help you embrace the differences of boys when it comes to handwriting. Maturity will happen. Understanding that some boys are behind girls in their fine motor skills helped me to appreciate that handwriting is more of a physical act in the beginning. Tears and crying were my son’s way of articulating that something was not right. He simply was not ready for the amount and type of work that I gave him. Homeschool scheduling is about finding your starting point and matching your family's own groove. For example, when my boys were preschoolers and toddlers, my goal for the day was to shower and have some meaningful reading activities for my oldest son. Insanity was thinking I had to get my homeschool started at 8:00 a.m. when there was no need to. Fast forward to the middle and high school years. My sons now start their homeschool day closer to 8:30 a.m., independent of me. 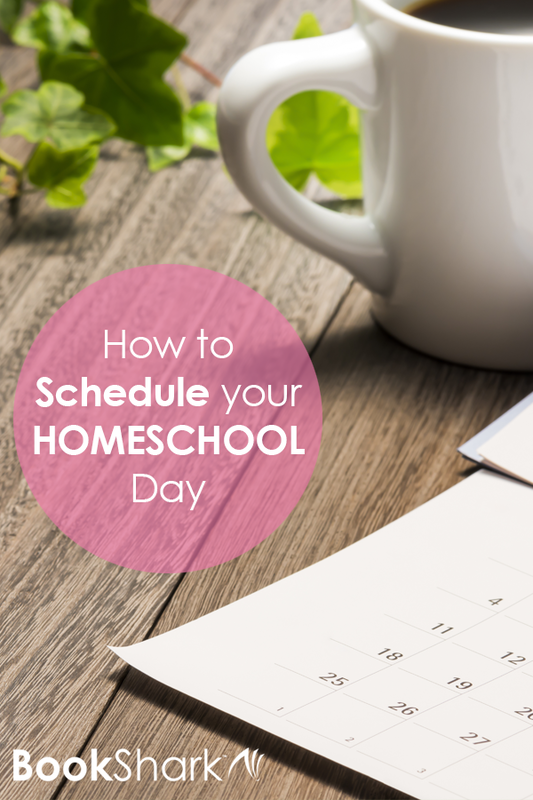 The key to breathing sweet homeschool scheduling into your day is to begin with a set of guidelines that you can actually follow, ones that fit your family’s groove. We don’t need one more thing to stress us out if we are already struggling with homeschool scheduling, so look at these easy starting points below. 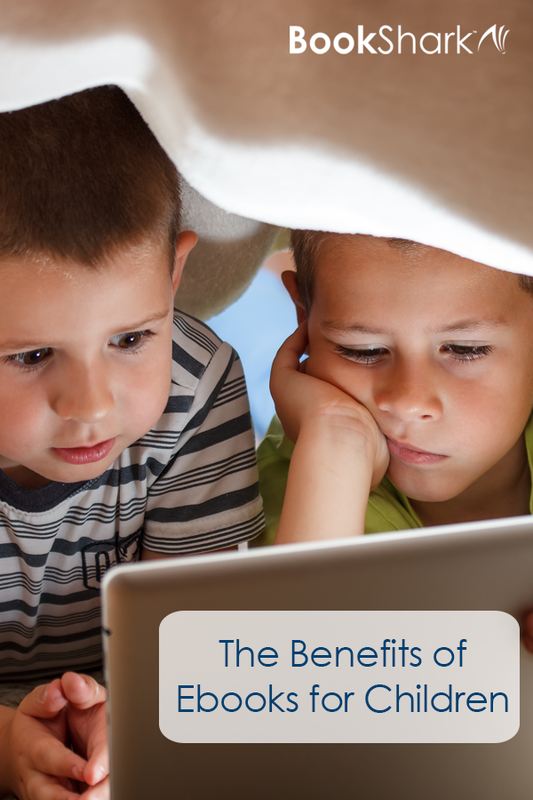 As homeschool parents, most of us believe that reading is an important thing for children to do. We believe in quality literature and want to teach our children that reading is beneficial for a vibrant life. We fill our children with living books, beginning with read alouds like Charlotte’s Web and the Little House Series. Through the years, we advance into more complex books like Shiloh and Little Women. In the meantime, our children have become avid readers thanks to the love of literature we have given them from a young age. Once our kids become avid readers (and sometimes before then), our shelves begin filling up with books. I do not know a homeschool family who doesn’t have at least two completely full bookshelves. 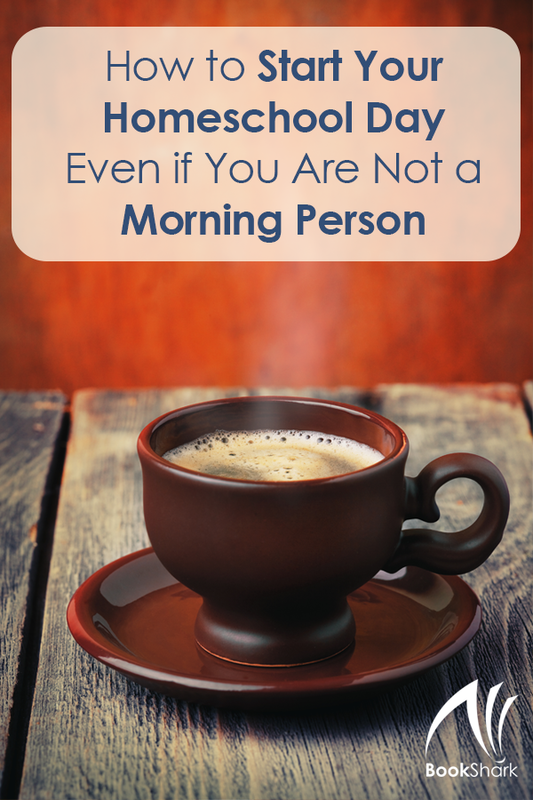 Depending on how many kids you have, you may have even more! A study conducted by the University of Nevada over a period of 20 years using data from 27 countries found that families with books in the home (even as few as 20), had children who attended school between 2.4 years and 6.6 years longer than children who lived in homes without books. 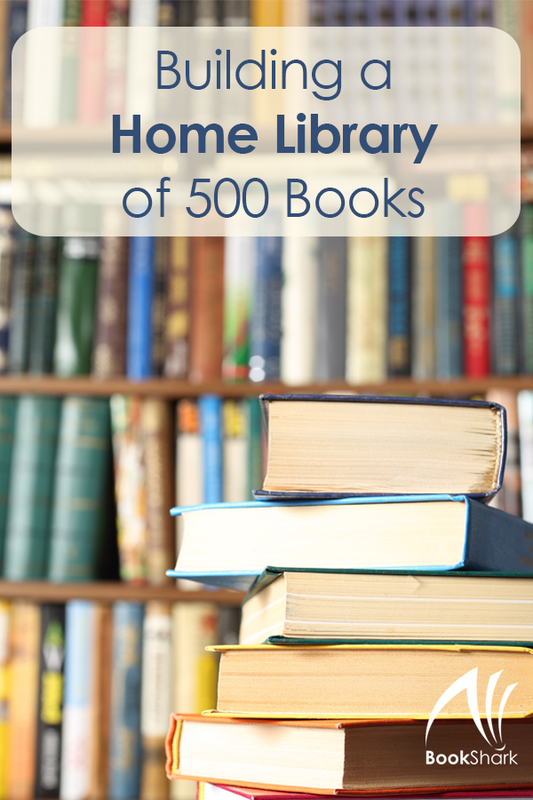 The researchers indicated that a library of 500 books provided the maximum educational value. The study also found that the presence of books in the home had twice as much affect on a child’s perseverance in attending school than the education level of her or his parents. 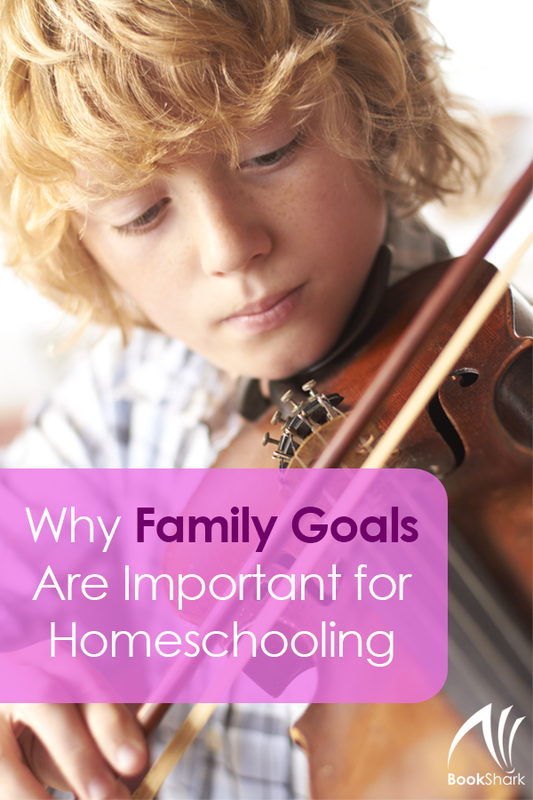 Families who first embark on the journey of home education often wonder how to create homeschooling goals. Thankfully, homeschooling is an educational option that allows for much flexibility in how your kids are taught, and gives you, the parent, the freedom to manage your children’s learning paths. Managing your children’s education, nonetheless, is quite the undertaking. With a few simple, goal-planning steps in place, your family will be better prepared to direct your homeschooling journey. First things first: be aware of your family mission. Creating a family mission statement, specifically for homeschooling, can certainly help you in planning homeschool goals. For example, if your family’s mission is to give your children as many opportunities to explore the world around them, you may include field trips and travel as a major part of your experience. Now you can access your BookShark homeschool lesson plans anywhere that you have Internet access because our Instructor Guides are available online via your desktop or mobile device. 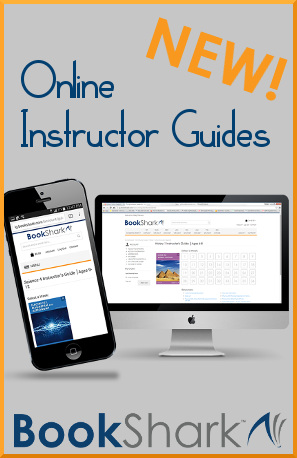 See samples of the Online Instructor Guides here. If you purchased an IG from us in the past, you already have access to the electronic version. Learn how to access your online IG in the slideshow here. Do you have a child who makes a career of avoiding math? Do they wiggle, squirm, and whine? 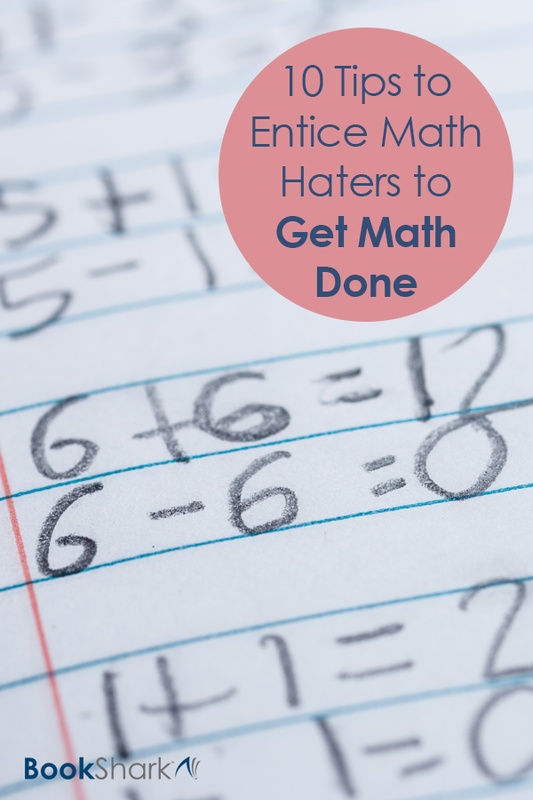 Here are ten tricks you can use to encourage your children to complete their math in a fun and timely manner.